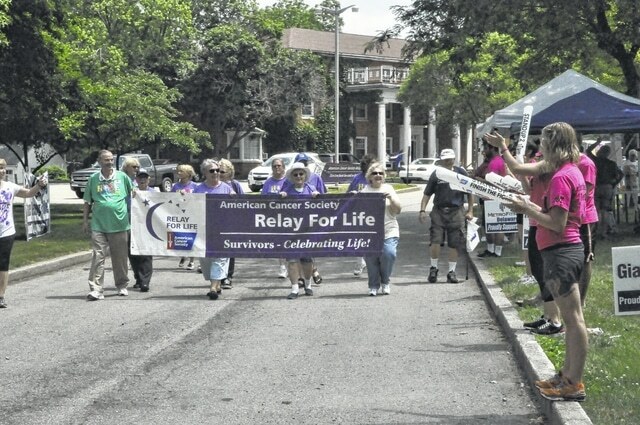 Attendees of Delaware’s American Cancer Society Relay for Life event cheer on the cancer survivors during the survivor lap at the start of the event on Saturday. The event ran from noon Saturday to 8 a.m. Sunday. There were also themed laps for the participants, including “Buckeye Hour” and “Name that Tune” hour.